Third of Scottish parents claim their children would have no supervision in the mornings and would be left to fend for themselves if it wasn't for childcare support of school breakfast clubs. From bribing their kids through the school gates with fizzy drinks and biscuits to leaving them to fend for themselves over breakfast, new research hears the shocking confessions of Scottish working parents. Describing the mornings as ‘stressful’, just a fifth of working mums and dads claimed they found time to enjoy breakfast with their children, with nearly a third of parents confessing their children would be left unsupervised in the mornings if it wasn’t for school Breakfast Clubs. Reflecting on the school run 21 per cent of mums in Scotland felt they let their children down – admitting their children didn’t always dress their best for school, due to the stressful morning rush before work. Hurried working parents even confessed to giving their kids energy drinks (15 per cent), biscuits (20 per cent) and chocolate (12 per cent) to get them out the door in the mornings. Desperate to maintain a healthy work-family life balance, the study by Kellogg’s showed nearly 58 per cent of parents in Scotland described school breakfast clubs as a ‘very important’ life-line for their families survival and routine. Shockingly across Scotland, England and Wales the report revealed a third of working mums would have to give up work if it wasn’t for the school breakfast clubs, due the rising costs of childcare. Interestingly one in five recognised the cost for alternative morning childcare would mean they would have to tighten their purse strings, with nearly 20 per cent of parents in Scotland claiming they save more than £50 every week due to morning clubs. And more than a quarter believing they saved at least £25 per week by sending their children to breakfast clubs. The survey of 2,003 working parents showed in Scotland 31 percent said they relied on their clubs to ensure they got to work on time – with nearly a third claiming they felt less stressed and anxious knowing their children had a breakfast routine at school. Lifting the lid on the stressful home lives of Scottish parents, the study showed how the fast-paced modern dynamic leaves more than a third failing to provide their children with a week day breakfast. 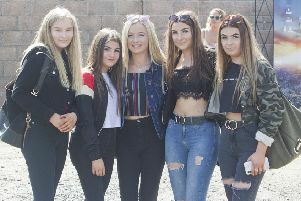 And 54 percent of Scots said breakfast clubs improved their children’s social interaction – with more than quarter admitting it got their children off social media they would be distracted by if they were at home. To read more check out The Parent’s Lifeline report at www.breakfast-club.co.uk or join the discussion on social @KelloggsUK #ParentsLifeline.